We believe that networking is the solid base for effective collaboration all over the world. 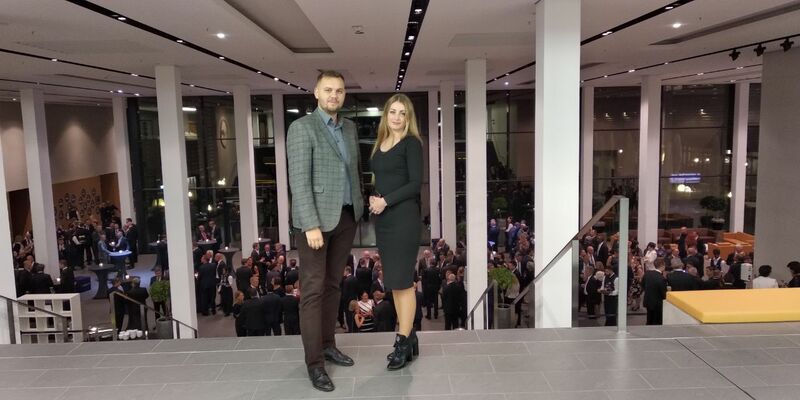 Our last visit to Germany helped us to carry out in-depth investigation of business processes of our clients and partners we are working with, to figure out the best solutions, which should be applied to each particular case and the best way of their implementation. All of us are living in fast changing environment, which is must to be considered in usual life, as well as in business activity. Personal meetings with clients and partners gave us incredible possibility to learn everything inside out, predict potential changes and adjust our solutions to this kind of agility. Our concept of collaboration based on trust, integrity, straightforwardness and continuous research. The biggest value, which leads to success at any business is people. We are proud of our team of specialists and believe that owing to SolidBrain professionals, our customers are happy with the results they were seeking for. Such 3 key components as: high-quality service, world class performance and customer satisfaction create trust. The customer's loyalty is what we are fighting for and what we are unceasingly working on!